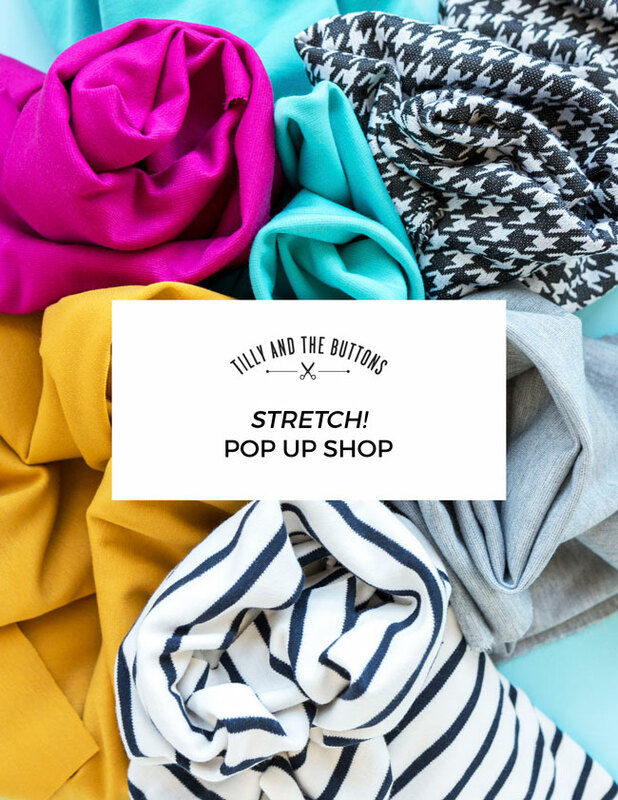 Tilly and the Buttons: Come to our pop-up shop! Come to our pop-up shop! We are opening our doors at Tilly Towers for a one day only event selling to-die-for knit fabrics. These fabrics will be hand-picked by me (Tilly) and perfect for making hoodies, sweaters, dresses and more from my new book Stretch! Shop for fabric, patterns and books, and have a nosey around our studio where the magic happens (hehe!). Have some bubbles and cake on us, meet our lovely team and chat to likeminded sewing lovers. We're a 10-15 minute walk from West Dulwich or West Norwood stations. There's limited street parking. Plan your journey with TFL. Sewing Space Tours... Jane's Sewing Shed! Peek Inside My New Book! Free Gift with Stretch Pre-orders!